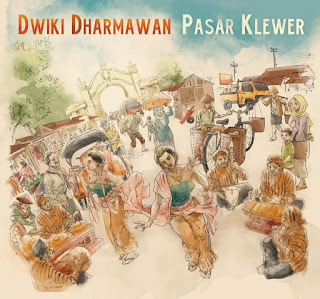 Jazz Station - Arnaldo DeSouteiro's Blog (Jazz, Bossa & Beyond): Masterpiece of the Month - "Dwiki Dharmawan: Pasar Klewer"
Masterpiece of the Month - "Dwiki Dharmawan: Pasar Klewer"
Produced by Leonardo Pavkovic and Dwiki Dharmawan. Executive producers: Dwiki Dharmawan for Musikita and Leonardo Pavkovic for MoonJune Music. Graphics & artwork by Aga Dilaga. Front cover pencil artwork by Daniel Indro W.
Recorded in London, June 9 & 10, 2015, at EastCote Studio by Phil Bagenal. Boris Savoldelli’s vocal parts recorded at BSS home studio in Pisogne, Italy, August 30, 2015. Peni Candra Rini and gamelan orchestra pre-recorded in Jakarta in May 2015. Balinese frogs recorded live in Ubud, Bali, in August 2015. Mixed and mastered by Mark Wingfield at Heron Island Studio, Cambridgeshire, England in October 2015 and April 2016. 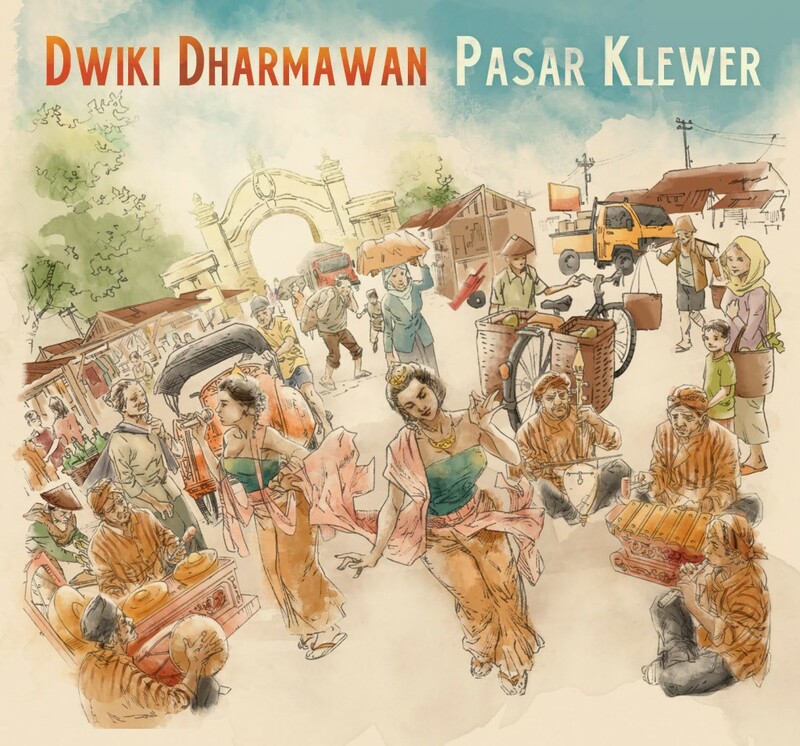 Indonesian keyboard star Dwiki Dharmawan, a true virtuoso, returns following his 2015 MoonJune Records debut, the more fusion-heavy "So Far, So Close," with the even more ambitious "Pasar Klewer." This brilliant acoustic piano-driven two-CD set features the cream of Britain’s younger expat crop, blending with Indonesian to create a passionate, seamless cultural cross-pollination. Bassist Yaron Stavi and superb drummer/percussionist Asaf Sirkis form the core trio with Dharmawan, while reed multi-instrumentalist Gilad Atzmon, Gamelan musical virtuoso Aris Daryono and guitarists Nicolas Meier and Mark Wingfield all make significant contributions to several tracks. Pasar Klewar’s exhilarating opening title track, indeed, possesses a microtonal-informed melody drawn unmistakably from Dharmawan’s cultural roots; but its modal nature also affords the pianist and his band mates the freedom to explore everything from Metheny-esque landscapes (though Wingfield’s heavily overdriven electric guitar provides a completely non-Metheny vibe during his light-speed solo) to a mid-song shift in mood, where Stavi and Sirkis drive Dharmawan’s post-Coltrane, Tyner-via-Beirach-through-Corea exploration of spiritual freedom with similar passion and fire. Daryono takes an impressive vocal/rebab (three-stringed violin) solo before some empathic three-way interplay amongst the core trio leads to a thoroughly drum solo reaching deep into the heart of the song before Stavi and Dharmawan re-enter, bringing this twelve-minute epic to a finish with another brilliant piano solo of grand proportions. Cross-pollinated with Wingfield’s additional fiery interaction, the music builds to such a climactic peak that, when it suddenly comes to a stop, the band members shouting “Yeah! !” is left to conclude the track, reflecting the energy clearly felt in the studio. SACD of the Month - "Miles Davis: Kind of Blue"